Thailand Fiber Companies, Thai Fibre Manufacturers produce synthetic fibre, natural fibre, yarns and threads for the domestic Thai market as well as for export. Only specialized yarns are imported nowadays as the local yarn manufacturers have enough capacity to supply the local textile industry. Bangkok Companies is a full service product sourcing company in Thailand. For All your fiber needs please email bangkokcompanies@gmail.com with your requests. Importer and supplier of textile machinery's parts, accessories and equipments, Importer and manufacturer of chemicals for textiles, papers, woods and plastics industries. Commission agent for heavy equipments. Trader of commodity items such as fibers, fabrics, yarns and some other basic chemicals. Eastern Fiber Product Company Limited (EFP) is one of the leading Short Staple Polyester Fiber producers in Thailand. EFP started its operation last February of 1995 with the aim to supply to all polyester fabric industries using high technological facilities maintaining the quality standards with a total capacity of 10,000 tons per year. Eternal Fibre Industry Co, Ltd.
Our company manufactures Long Dry Fibre (LDF) extracted from oil palm Empty Fruit Bunch (EFB) by the most modern factory located in the south of Thailand, with the capacity of 900 ton/month. Our product is of high quality and competitive to coconut or other natural fibre employed in various industries. We are looking for down-steam manufacturers who are seeking for reliable and regular supplies in long term relationship. We are one of top five manufacturers who produce Natural Gold Coconut fibre mattress in Thailand. 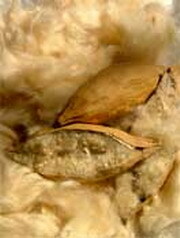 By product of Natural Gold Coconut fibre mattress is husk/dust of which we export to Australia in PP Bag. We also produce bamboo chopsticks, toothpicks, barbecue sticks with various size 5,6,7 and 8 inches length for export to Malaysia and some to Vietnam thru Overseas traders and local buyers. Any buyers who require our products, Our factory is located at little south of Thailand where there are plenty of good quality of raw material. Our products are today being exported to China and other countries nearby. Our Product itself is dry with low moisture content. Color is light Gold or very light brown. We are manufacturer and exporter for home textile products such as cushion cover with hand-printed, seat cushion for both in and outdoor, floor cushion, mattress, boat cushion. We use naturally fiber called" Kapok" as a filling to our cushion. Kapok is soft and smooth and give a natural touch. 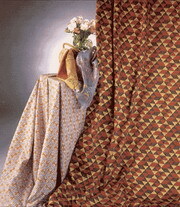 Fabric available is: Cotton, satin, polyester/cotton twill We are willing to accept customer's own design. Products: Cushion with kapok filling size 40x40 cm,, seat cushion 45x45 cm,, floor cushion 60x60 cm,78x78 cm. Boat cushion with kapok filling size 38x45 cm. For single, and 45x76 cm. Founded in 1950, Men Yi Corporation today is one of Taiwan's leading textile manufacturers exporting Fabrics to markets across the globe. We have two Factories and about 1,100 skilled employees who perform every step weaving, dyeing and finishing the Fabric. As a result, we can Felly control the quality of our products as well as the speed of their delivery. 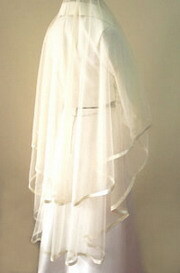 Our main-line product including Nylon, Oxford, Spinnaker Cloth, Tricot, Brushed Tricot, Spandex Tricot and Suiting Fabrics. To respond the demand of the market, Mun Ying Co.,Ltd. Thailand was established to maintain our high standard and also go forward to improve for the better and better quality and design of the fabric. Weaving Machine: Rapier loom, air jet loom, water jet loom. Service Type: Make to Order. Weave: Plain, twill, satin, basket, corduroy, crepe, herringbone, hopsack, pique. Operation Type: Dyeing: Exhaust: Winch, jig, jet; mechanical - finishing: Brushing and sheering, calendaring; chemical finishing: Bio-wash, flame retardant/flame resistance, resin, softener, soil release/soil resistant, waterproof/water repellent. Jong Stit Co.,Ltd. Whom is one of the leading textile manufacturer in Thailand with specialized experience over 65 years. We are at present the major suppliers of Warp Knitted Fabrics with our wholly full integration process from Fiber, Yarn Spinning, knitting, dyeing, to finishing, with the total capacity over 2000 tons per month. The product range we are currently manufacturing is the following Tricot Mesh, Tricot Satin, Tricot Fancy, Tricot Half, Tricot Brushed, Tricot Two-way With our vertical set-up allows us to be able to provide the products not only quality but also competitive price and timely delivery. We always pay more attention in each step of production to ensure that our products would meet 100% customer satisfaction. For air covering we have SSM -8 machine and Aiki 2 machine to a total of 508 spindles with the planned capacity increase we will reach to 1000 spindles shortly, For Air texturising we have SSM machine to ensure spun like characteristic , fancy yarn with bulky effect and two tone effect. For core spun we have MVS machines of Japan this ensures less haryness quick dry , moisture absorbing , resistance to pilling and abrasion , clear and even appearance, non twisted spandex core yarn. For conventional covering and embroidery thread : we have machines from Japan suitable to feed 500gms feed package to get 1 kgs knotless produce package. Our yarn dyeing division consist of lorries bellini / this combined with fadis & SSM to ensure quality dyed yarn. Our cable twisters are from Rieter which we use polyester twisting . small tube winding machines are from Hacoba . With the above level of world class infrastructure combined with our highly trained technical team we ensures delivery of a very high quality product . needless to mention this combined with a very competitive price we have strong hold of market share in Thailand market for more than 2 decades . End use of this products : there are various like , warp and circular knitting , weaving, socks, with this range of product we touch almost all areas of textiles . to name a few swim wear , skiwear, denim , canvass, diving and surf suit ,active wear , automotive etc . Ours is a modern spinning unit operating in Thailand in the above location, Please go through our brief profile and let us know if there is any chance to initiate some business with you. Thai Acrylic Fibre Co. Ltd.
Thai Acrylic Fibre - only manufacturer of Acrylic Fibre in the ASEAN region, is one of the flagship companies of the Aditya Birla Group. From a modest beginning in 1987, set up in technical collaboration with Japan Exlan Co. Ltd., at Kaengkhoi, Saraburi province of Thailand, the company's installed annual capacity of acrylic fibre currently stands at 100,000MT. Over 60 % of TAF's production is being exported directly all over the world. Achievement of ISO14001 and OHSAS 18001 certifications validates Thai Acrylic Fibre's concern for safety, health and environment. We are one of manufacturer for coconut fibre in Thailand. Our product quality is best quality in Thailand at the reasonable price. Our products are sold to china and local. We would like to expand our products to more interesting clients. 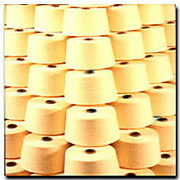 Thai rayon is a public listed company. The factory is located in angthong province of Thailand. Thai rayon manufactures 80,000 tpa of viscose staple fiber and 60,000 tpa of anhydrous sodium sulphate. Vsf is market worldwide while sodium sulphate is sold locally. We are the main recycled polyester fiber and nonwoven manufacturer in Thailand. With the domestic support, we are ready to step outside to world market. 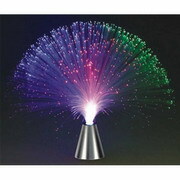 Thailon Techno FIber is Owned by President Knitting Group company. Thailon Techno Fiber ltd is a pioneer project for the production of high speed nylon 6,6 partially oriented yarn( POY) and Fully drawn yarn( FDY) in the ASEAN( association of south east Asian nations ) region and is promoted by Board of Investment, Kingdom of Thailand. We cater to the textile market of hosiery, active wears, Apparel and fine woven fabrics. Within three of commercial production, we have earned the repute of being one of the best producers of micro deniers in the international market. We are ISO 9002 certified( By BVQI) and holders of OKO tex Certified( Switzerland) for products totally free of any hazardous chemicals. Our products are being used for making many of the top branded fabrics around the globe. We are producers/suppliers of coconut fiber from Thailand. Our product is very high quality coconut fiber, low moisture content, long fiber and high degree of purity. We can supply in large quantity of coconut fiber. My company produce a fibers located in Bangkok at Thailand if you required for products < polyester, nylon, cotton, PP >. By use SML machine made for fibers. Application in: Garment, Shoes, Bags, Toys, Curtain, Transportation, Sport (mountaineering), others. We, Viva Bedding Co., Ltd, are the producer of quality mattress in Thailand. 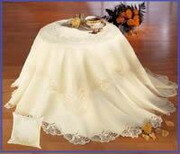 Our products are made from various material such as spring, foam, coconut fiber. We also produce man and lady fashion cloth. Our current market is domestic, but we are gladly established business worldwide. VS Recycle Fibre Co., Ltd.
VS Recycle Fibre Co., Ltd was first established since 1991 under the name "Summit Inter Pack Co., Ltd" and renamed as "VS Recycle Fibre Fibre Co., Ltd" in 2003. We were first started as the professional importer of Waste Paper of top quality suppliers from around the world. Every month we are importing up to 20,000 metric tons of waste paper (OCC, ONP, B&W and etc.) Our main top quality suppliers are from Malaysia, Singapore, UAE, Dubai, Japan, Germany, UK, and USA. We have been one of the top trustworthy suppliers of Middle East, Malaysia and Singapore, USA and Japan Waste Paper to Siam Kraft Group (SKIC, TKIC), Thai Cane Paper (TCP), Norske Skog and Cellox group for more than 15 years. In November 2004, We have jointed venture with Siam Kraft Group (Cement Thai Group) to open up "Waste Paper Packing Plant" in Ubon Ratchatani (N/E of Thailand). We offer the complete range of recycling service from collecting, sorting, baling to trading. Our production capacity per month is up to 1,500 metric tons of all kind of waste paper. We are one of leading manufacturer for coconut fibre mattress and furniture. 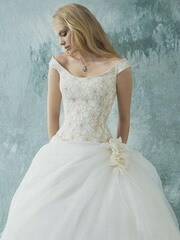 We believe we are able to serve you at very rock bottom price with high quality and modern style. We are able to tailor the mattress furniture in accordance with your designs and requirements.